for only £497 + VAT! In 2017 we ran multiple seminars helping lots people across the country to start making large chunks of cash from our Turning Discounts into Cashflow strategy. We’ve had incredible success stories from Liverpool to London and Stoke to Southampton, literally all over the UK! In 2018, by popular demand, we are offering this BRAND NEW seminar to explain in full our Frank Partnership blueprint explaining how we purchase properties, some cash flowing as much as £6,000+ each month, using none of our own money! 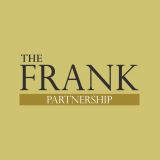 © 2016 Frank Mentors Limited T/A The Frank Partnership. All Rights Reserved.